Source Floor & Specialties Inc.BlogMattingHow Are Inlaid Logo Mats Made? 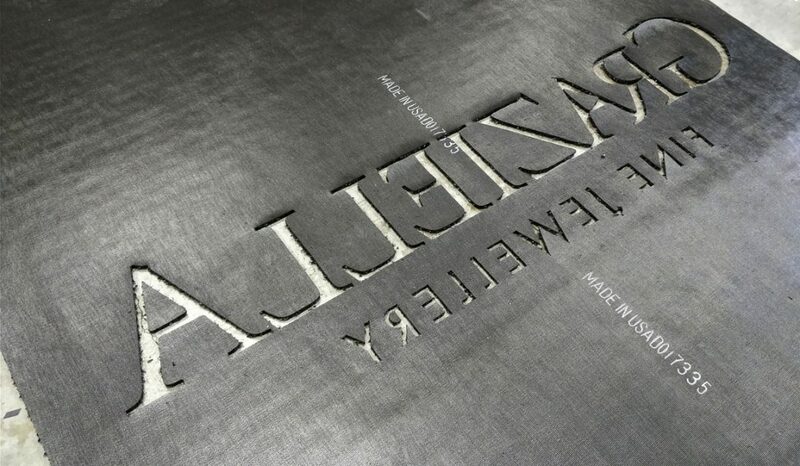 Did you know that all of our logo mats are inlaid, and not printed? First we cut out where your logo pieces will go into the field material – in this case, we’re using our Grizzly FX in the Onyx colour for this mat. 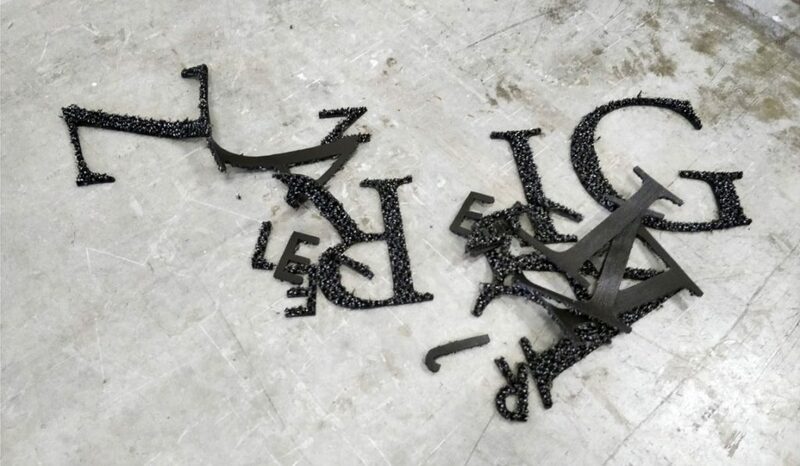 Next, we cut the logo pieces themselves using one (or more!) of our standard inlay colours. Finally, we put them all together! We hand-place each logo piece into your mat, and chemically weld their vinyl backings together to make a permanent, durable piece of functional art for your building’s entrance. Permanently sharp, crisp images. Because each logo element is a separate piece of material, they can’t blur, blend, or fade away like printed mats. Customized sizes and shapes. Because our inlaid mats don’t have to fit inside an industrial fabric printing machine, we’re not limited to offering only a couple of standard sizes! We can cut and inlay your logo into a mat as big as your facility needs…the biggest logo mat we’ve made so far was nearly 40 feet by 40 feet! Ready for heavy duty. In order to accept the dyes from the printing process, printed mats effectively start out as thin, blank bath towels. 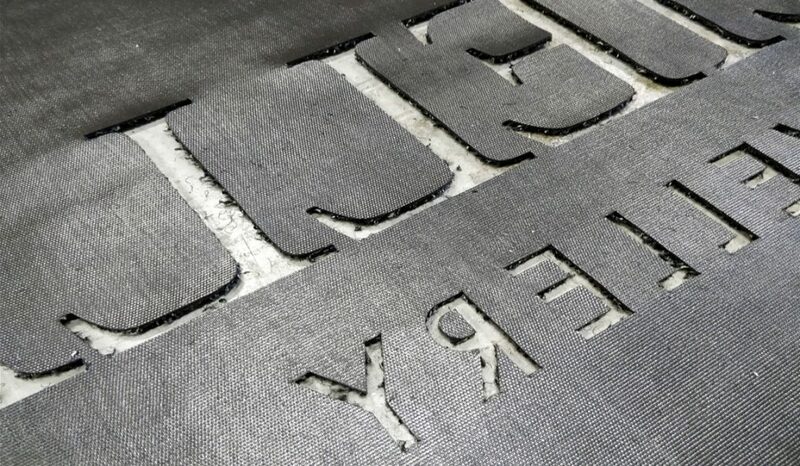 They have to be thin and flexible enough to make it through the printing press rollers, which is great for printing…and terrible for an entrance mat! Thin, light mats are prone to bunching, folding, flopped corners, and turning into tripping hazards. Because we only inlay logos into our Grizzly FX and Kermode matting, all our logo mats have outstanding dimensional stability, heavy duty vinyl ramped edging, and are tough enough for even the busiest entrances. Contact us today to get started on your custom inlaid logo mat!